William McDowell-White at the 2016 Nike Hoop Summit. NINE NBA scouts looked on as Australian draft hopeful William McDowell-White played the final game of his German Pro A season. The point guard is preparing for workouts with US teams, sources told foxsports.com.au. The point guard had 22 points and six assists in Baunach's loss to VFL Kirchheim, finishing his first season with the team on an individual high. 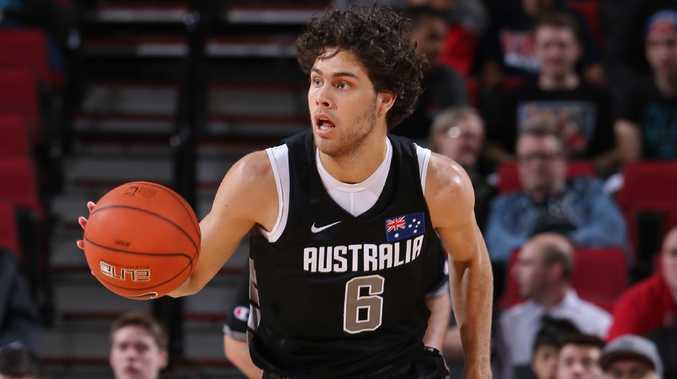 McDowell-White, from Brisbane, has been working out with the players such as Troy Brown (Oregon), Jacob Evans (Cincinnati), and Gary Trent Jr (Duke) at Impact Basketball, in Las Vegas. The 20-year-old is planning predraft workouts with multiple NBA teams, sources have said. In 28 games for Baunach - the farm team of Brose Bamberg - McDowell-White averaged 12.5 points, 6.9 assists, 5.1 rebounds and 2.1 steals, and 32 minutes per game. The guard still has three years remaining on his deal with Baunach and is expected to test the 2018 draft waters until the Early Entrant Withdrawal Deadline - June 11 - when he will be eligible to return to Germany and re-declare for the draft in the coming year(s). McDowell-White is working out in Las Vegas. McDowell-White represented Australia at the 2015 FIBA under-19 World Championship and is widely considered one of the country's most prominent young guards. He is the son of Darryl White, a three-time AFL premiership winner. Once a Fresno State commit, McDowell-White was deemed academically ineligible to attend college, instead choosing to sign with the Sydney Kings. After a short stint in Australia, he signed his multi-year deal in Germany. 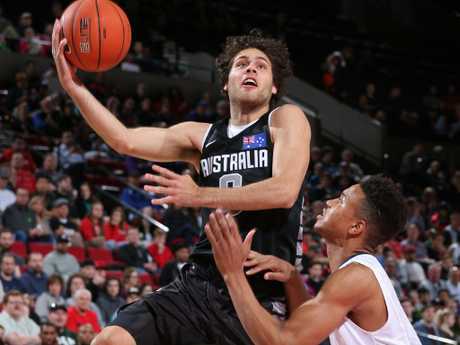 In 2016, McDowell-White represented Australia in the Nike Hoop Summit. The 2018 NBA Draft is on June 22 (AEST).